Thermal imaging network camera ASTROHN-IQ640 is intended for locating objects (humans, motor vehicles) thermal emissions without external highlighting. This camera has hermetical cover (leakage class IP66) with an germanium aperture. Aperture has an diamond-like durable coating. All germanium windows of ASTROHN-IQ640 thermal imaging systems have built-in defrosting system for the frigid climate. 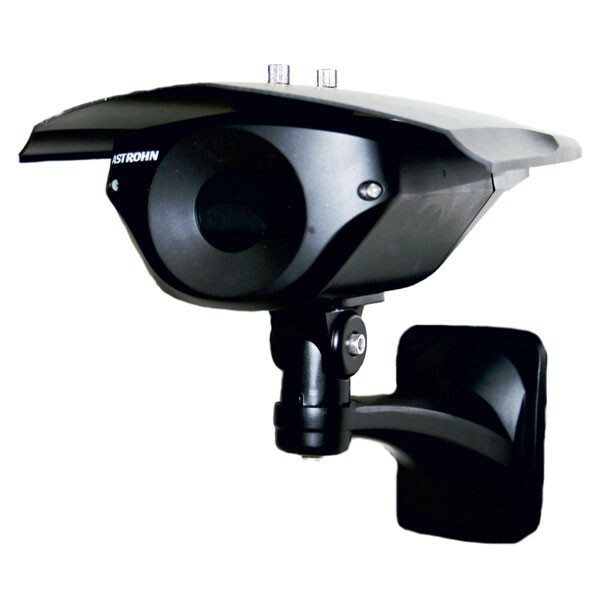 Camera has a pulse overvoltage protection and a protection tripping unit designed for the Russian power lines, and it also has a built-in intellectual video analytics with simple and friendly configuration on basic threat models. Video analytics includes the object recognition and identification function (human, animal, technique, etc). Image and video analysis results output is implemented with Ethernet. Thermal image camera with the ally arm. Passport with the warranty certificate. Memory card with documentation and operating manual.